Ivan le Fou If you and the self-proclaimed pagan anarchist would have actually spent a few seconds and shown some real interest you'd have noticed that the article is based on a report from the SPLC (see link below). Unfortunately I'm not able to provide you anything relevant on this issue from Fox News or Alex Jones which presumably would be more to your likings. But I can offer you this quote from a snopes article you may want or not want to read. Are ‘Antifa’ and the Alt-Right Equally Violent? I think it's time you guys get your facts straight! Because you educate yourself via pseudo journalism like salon, buzzfeed and the SPLC (which keeps on being sued for defamation... you're familiar with that thing aren't you?) does not mean I should lower myself to your level. And no, I do not get my news from either foxnews or Alex Jones. Funny isn't it though? Keep to whine about "boohoo muh insults!" "boohoo muh mean people are defaming me! ", yet this is exactly what you are doing. Either find compelling sources, or perhaps grow up... that behavior and "argumentation" of yours is sad. Sorry, but you're not in the position to educate anybody. Surely not with these two lame youtube vids and a link to a Forbes article that basically boils down to "I didn't got my email answered in a way I'd have expected". But thanks for showing that you're actually really living in alt-right Lalaland and prefere to visit related echo-chambers. Do you note something when you make a comparison of the first two with the last two? I guess not, right? And just as sidenote. Something at the Forbes link was malicious and actually tried to hi-jack my browser but that presumably had something to do with one of the adds and not with the site itself. The path you're walking is actually a circle and leads to the same lame justifications, insults and nothing factual at all. That's what's actually sad. I'm done with you two. Bring up some real facts and something that's actually worth to discuss. Otherwise talk to my hand. It's ok and no sign of being weak to admit that you're wrong, Ivan. Posting anything by Salon makes you a hilarious individual. Biased, white hating, wet rag is what Salon is. Hey SGT G, glad to have you back. Wasn't this thread about someone who was properly clothed being refused service? CNN reckoned their boy didn't push off, lay a hand or whatever definition of legal assault on the young lady. The video is proof of CNN fake news alright. Who do they think they are still fooling baring a few blind folk perhaps in their audience. Maybe you need to be legally deaf dumb and blind to believe their news. Quite honestly, it's beyond me how this is even debatable. 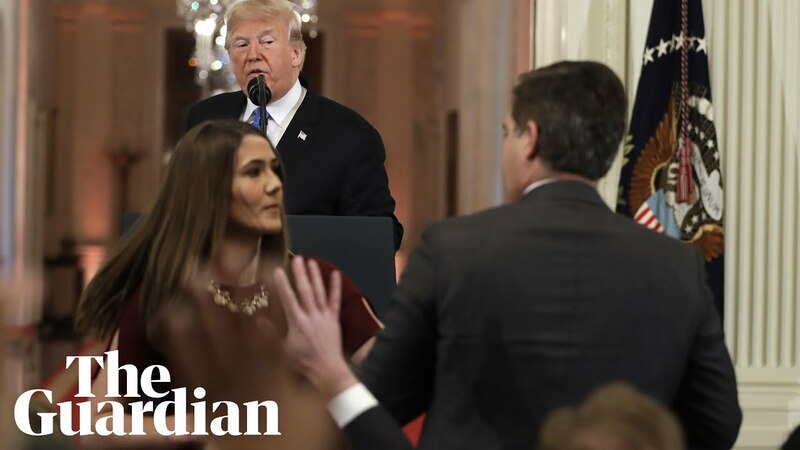 I don't like Trump, I couldn't care less about him being harassed, so take it from me: Acosta acted like a douchebag there and yes, he pushed that woman's arm away. If the left had any sincerety, they'd attack him for touching a woman without consent and disrespecting her authority. ...assault on the young lady. The same "assaulted" lady, who actually invaded his personal space in attempt to force her way on him. This is what the video is showing, and your chanting of the usual Fake-right cliches won't change it.